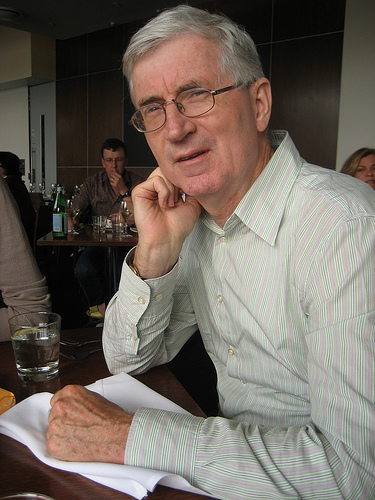 Ian Tyrrell retired as Scientia Professor of History at the University of New South Wales, Sydney, Australia in July 2012 and is now an Emeritus Professor of History. Born in Brisbane, Queensland, he was educated at the University of Queensland and Duke University, where he was a Fulbright Scholar and James B. Duke Fellow. His teaching and research interests include American history, environmental history, and historiography. He was a pioneer in the approach to transnational history as a research program for reconceptualizing United States history through his essay “American Exceptionalism in an Age of International History” in the American Historical Review in 1991; and in Woman’s World/Woman’s Empire: The Woman’s Christian Temperance Union in International Perspective (University of North Carolina Press, 1991), which dealt with the issues of gender and empire in that leading nineteenth-century women’s international organization. Among his other books are two dealing with aspects of transnational history: True Gardens of the Gods: Californian-Australian Environmental Reform, 1860-1930 (University of California Press, 1999) and Transnational Nation: United States History in Global Perspective since 1789 (Palgrave Macmillan, 2007), appearing in a second edition, 2015. Reforming the World: The Creation of America’s Moral Empire (Princeton, 2010), continues the transnational theme, and displays a longstanding interest in the interplay of moral humanitarianism and empire. He was (1991 to 1996) editor of the Australasian Journal of American Studies, and President of the Australian and New Zealand American Studies Association, 2002—06. A Fellow of the Australian Academy of the Humanities, he was awarded a Commonwealth of Australia Centenary Medal in 2003, and has been a visiting professor at the Ecole des Hautes Etudes en Sciences Sociales in Paris; and Joyce Appleby (Visiting) Professor of United States History at the University of California, Los Angeles, Fall 2009. He served as the Harold Vyvyan Harmsworth Professor of American History in the University of Oxford for 2010-11; and was appointed a Professorial Fellow of the Queen’s College, Oxford. His latest book is Crisis of the Wasteful Nation: Empire and Conservation in Theodore Roosevelt’s America (University of Chicago Press). Also out, edited with Jay Sexton, Oxford University, is Empire’s Twin: U.S. Anti-Imperialism from the Founding Era to the Age of Terrorism (Cornell University Press); and is undertaking research on several topics, especially American Exceptionalism; and the export of American National Park ideas to the Philippines. Hello Ian! How interesting–a website through WordPress.com! We were playing around with that one, too, when we first started to arrange a website. We’re still struggling with the one we’ve started! Hello Ian, just wanted to ask whether your still teaching the american slavery segment of history at UNSW in 2011, or as will be at your teaching post at Oxford university? No I will be on leave; please contact Anne O’Brien, the history coordinator. I will be teaching that course in semester 1, 2012. My name is Ryan Walker and I am a student currently living in Harrogate, North yorkshire in England. I am enquireing for a quick summary on your views on American prohibtion and whether you think it was a success and the most significant factors in its abolishment as part of my coursework, as i need Historians opinions on this matter i found this website and the thought ocourred to me ask you directly. Any comments and opnions you make will be greatly appreciated. warm greetings from St Andrews. It is a while that you have been here with your talk around your “Transnational Nation”. But you are with us in spirit, all the time. We are teaching a new module here on “Doing and Practicing Transnational History” (www.transnationalhistory.net/doing). Your work comes up all the time as a key reference point, just yesterday in relation and comparison to Rita Chin’s work on guestworkers and migration to post 1945 Germany. My email doesn’t display everything. Yours went to junk mail and I just saw it today. I have approved the piece. Good luck with your work.